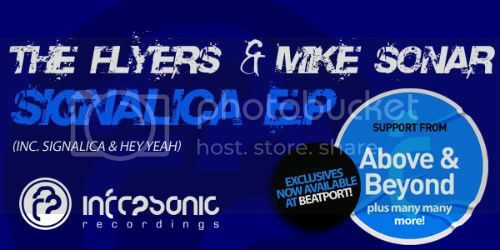 The Flyers & Mike Sonar - Signalica E.P [Infrasonic Recordings] Out Now! 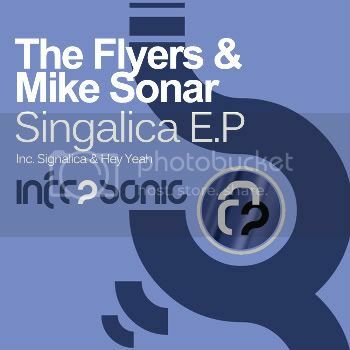 Thread: The Flyers & Mike Sonar - Signalica E.P [Infrasonic Recordings] Out Now! Infrasonic's favourite trio The Flyers & Mike Sonar are back and supply release number 39 with another super slick two part E.P. Heading the package is Signalica. You know what to expect from these guys by now and they deliver in huge doses once again. A big sawing bassline drives the track on while the beautiful plucks and big room guitar riff take care of the rest. Hey Yeah completes the package and adds some real warmth to the package. Another pounding bassline and lush summer style lead are just two of the ingredients that make this track work so well. Add into the mix the carefully constructed vocal stabs and the gorgeous pads and you have yourself a bit of a tune! An essential E.P for the summer months! Mike Sonar & Solis - Firenova [Infrasonic Recordings] Out Now!